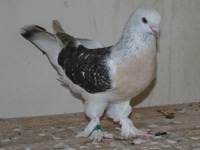 The Turkish Tumblers are very special pigeon breeds. Turkish Tumblers (Turkish Takla) are the most popular breed in Turkey because of their show-like physical qualities combined with their aerial performance, which makes them an attractive breed to keep. They are raised for their tumbling skills and their helicopter-like performance. There are different types of Turkish Tumblers and they are named by the city from where they come. In addition, they perform differently depending on their city of origin (Ankara, Mardin, Sivas, Urfa, etc). They come in many colors, and head crests like beak or shell crests. 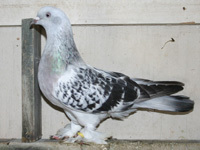 As in many flying and performing breeds, the most important quality in Turkish Tumblers for the breeders is performance. Color and shape are secondary. Flight time depends on what region the bird is from as well as who trained and bred them. Normally, the range of flight time runs from the 2-hour above the rooftop flight (most popular) to the 8 to 14 hour out of eyesight flight. Unlike Birmingham rollers, training Turkish Tumblers requires a lot of patience and time. It would be very hard to determine the quality or full potential of a Turkish Tumbler before a full year of flying and training. 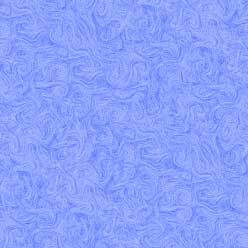 Birmingham Rollers, depending on their strain, get into a fair level of performance within a few months of flying. This makes them extremely rewarding as one sees results in a short period of time. Turkish Tumbler breeders should have patience and commitment to get results out of this breed. Even though a breeder could fly Turkish Tumblers in a kit, they are solo performers and perform better when flown alone. The combinations a good Turkish Tumbler puts together is enjoyable as, on average, this bird will charge the coop repeatedly at a minimum of 40 times per flight. I'd like to give many thanks to Muhammet Erdal, a master breeder in Massachusetts, and Murat Ozel, a master breeder in Nebraska, to share their best stock of Turkish Tumblers with me. I couldn't ask for better looking and performing birds. All of the Turkish Tumblers in the USA are directly imported from Turkey and they are purebred performers. Their original regional blood lines were never mixed with each other in order to protect their performance style. If you are interested in knowing more about Turkish Tumblers, please visit a great site designed and maintained by a master breeder, U. Kurt Gursu, who lives and breeds Turkish Tumblers in San Jose, California http://turkishtumblers.com. It is an informative website including the types, the history, and the training of young Turkish Takla as well as other Turkish pigeon breeds. Additionally, you can find other breeders all over the United States and Canada. Here is U. Kurt Gursu's description of the Turkish Tumbler's flying style; "They dive towards the coop and just before touching the ground make a helicopter-like upstairs climb towards the sky, legs stretch down like they are trying to touch the ground, head down forward between the wings looking down and the body 90 degrees to ground vertical take off". It's quite a sight to see.